The qualities of Omni-Dry fabric give the Hammerhead Short Sleeve the edge in summer weather. UPF protection, moisture wicking and quick drying, this short sleeve will keep you cool, comfortable and protected from the sun's damaging rays. Highly packable. 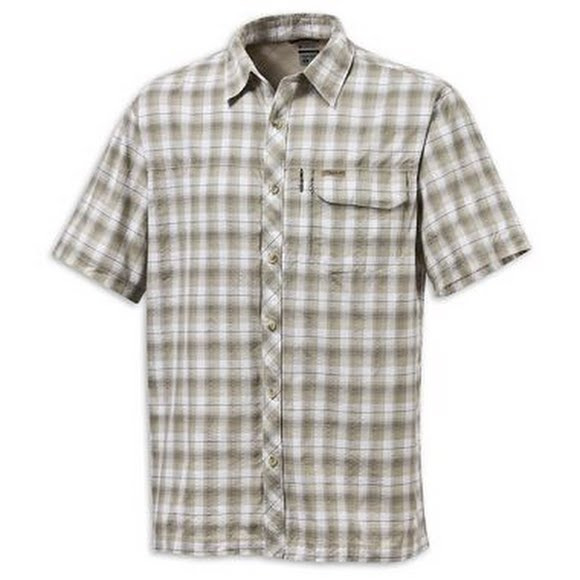 The qualities of Omni-Dry fabric give the Hammerhead Short Sleeve the edge in summer weather. UPF protection, moisture wicking and quick drying, this short sleeve will keep you cool, comfortable and protected from the sun&apos;s damaging rays. Highly packable. A lightweight nylon ripstop fabric from Columbia that wicks moisture away from the skin and dries quickly for superior moisture management. Ultraviolet Protection Factor (UPF) is a measure of the percentage of ultraviolet sunlight that reaches your skin through a given fabric. Columbia Sportswear was the first global apparel producer to earn the The Skin Cancer Foundation&apos;s seal of recommendation for garments with UPF ratings.